Winter squash are prominently displayed at grocery stores in the fall and winter months, but many shoppers pass them by because they don’t know what to do with them. Winter squash are easy to prepare and are a healthy addition to any meal. 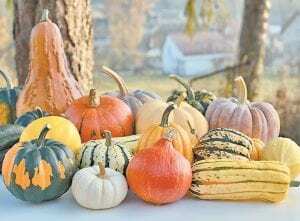 The Cucurbitaceae family is the Latin name for gourds, pumpkins and squash. The terms Summer and Winter can be deceptive and are based only on current usage, not on actuality. Summer squash is in the market all winter, and Winter squash is available in late summer and fall, as well as winter. This terminology was never meant to confuse; it dates to a time when the seasons were more crucial to man’s survival. Vegetables that would keep until December became known as winter vegetables. Winter squash are picked when they are fully mature, and they have a thick, inedible skin. This thick skin provides a protective covering for the squash and allows for a long storage life. Winter squash can be stored for three months or longer in a cool, dry place, preferably in a single layer. Every part of the squash plant can be eaten, including the leaves and tender shoots, which can be cooked in omelets or made into soup. Winter squash are a good source of vitamins A and C, potassium and fiber. One-half cup of cooked winter squash has only 40 calories. Winter squash comes in shapes round and elongated, scalloped and pear-shaped, with flesh that ranges from golden-yellow to brilliant orange. Most winter squashes are vine-type plants whose fruits are harvested when fully mature. They take longer to mature than summer squash (three months or more) and are best harvested once the cool weather of fall sets in. 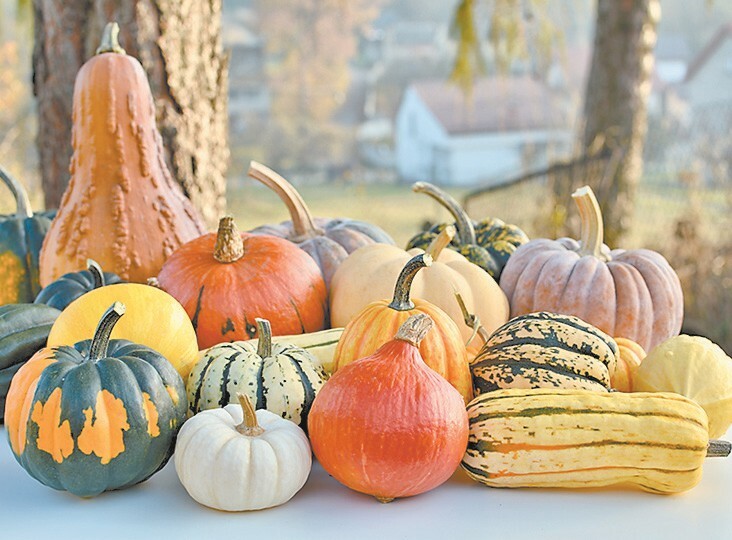 Some of the most popular types of winter squash are butternut, spaghetti, acorn squash and delicata. Butternut squash is tan in color and has a long, bell-like shape. Spaghetti squash is oblong or oval in shape and yellow in color. Acorn squash is actually shaped like an acorn. It is dark green in color and has a ridged rind or skin. Delicata squash is oblong, ridged, yellow and green. The skin is soft and edible. Delicata squash is the easiest squash to prep and cook because of its soft, edible skin. It contains seeds in the center, but they can easily be removed by scraping them out with a spoon. This delicious recipe for Maple-Garlic Delicata Squash Oven Fries is a wonderful side dish on a cold winter’s day! 1. Heat oven to 375 F and line a large rimmed baking sheet with parchment paper or foil. Place the pan in the oven to provide even roasting on the top and bottom of the squash. 2. Cut the ends off the delicata squash, halve it lengthwise, scrape the seeds out (using a small spoon) and slice each half into thin half-moons. 3. Combine the olive oil, maple syrup, garlic and 1/2 teaspoon of the salt in a medium-sized mixing bowl, then add the delicata and toss until it is evenly coated with the oil mixture. 4. Remove the hot pan from the oven and carefully arrange the squash in a single layer on the lined baking sheet. 5. Roast for about 15 minutes, then stir the squash and rotate the pan. Continue to roast the squash for another 15 minutes until the it starts to turn brown and crispy. Sprinkle with the remaining 1/2 teaspoon of salt and serve immediately. Serves 4.